The brain-child of Scott Fish (creator of the worlds largest pro-am fantasy football tournament, the Scott Fish Bowl) and Ryan McDowell (seasoned commissioner of numerous ground-breaking leagues including the Hyper/Active FF & Kitchen Sink leagues), C:I will examine issues and innovations surrounding the creation and running of fantasy football leagues. Ryan and Scott share a wealth of experience and industry-defining ideas about the art and science of this rewarding but sometimes thankless job. If you are a league commissioner, thinking about starting a league, want to spice up your existing league, or even if you just love the game of fantasy football, then this is the show for you! 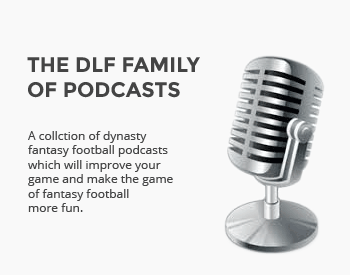 You can now listen to this show along with all of the DLF podcasts on one single, convenient feed!